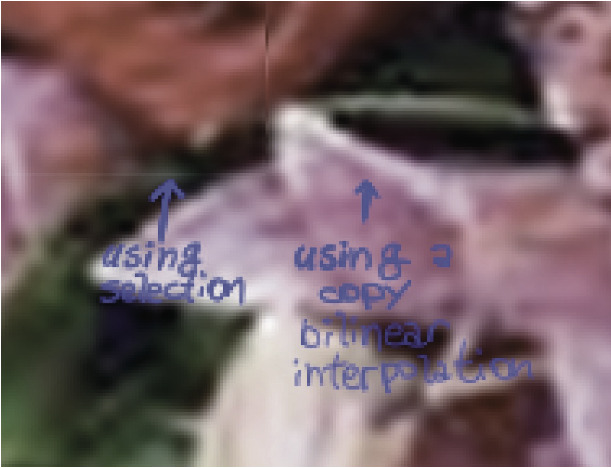 After some upgrade of Photoshop CC (from PS CC 2017 to 2018 I guess) I noticed 1px hairline on images after scaling a selection. Anti-aliasing is turned off for selection borders and Feather is set to 0px as on the screenshot below. The first image is just a selection. After scaling selection down by squeezing from the top (Edit > Transform > Scale) a 1px hairline appears right on the bottom border of the selection. Obviously it can be edited, but if the file is big and has lots of details it could take a while. Also PS CC 2015/2016/2017 wasn't doing that until relatively recent time as I was using this tool before without any issues. Any settings can be changes to restore the original behaviour? These are artifacts that may happen each time you squeeze pixels. 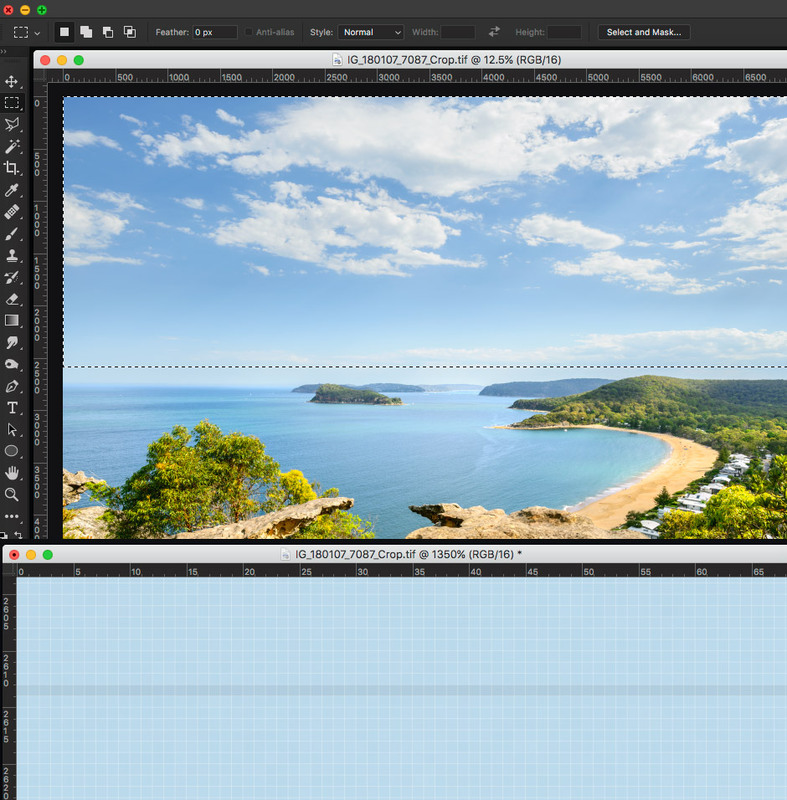 As you write, you can easily edit this, but probably the best solution is to crop the image to the desired size. I have noticed it that too. Make a selection then make a copy Ctrl + J .
I use bicubic interpolation but you can try the other ones.